These are stories to be shared, to be remembered – passed from generation to generation. Every child should meet Wilbur, Carrie and Stig; spend time at the riverbank with Tarka the Otter; under the floorboards with The Borrowers; or in the front room of with The Family from One End Street. With enduring characters and heart-warming tales of adventure, bravery and friendship, A Puffin Book is truly a friend for life. 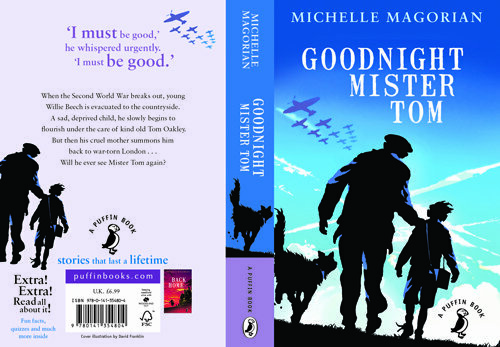 With brand new cover designs, including iconic cover images and new artwork, the A Puffin Book editions will also include additional content such as material unearthed from the Puffin archive, activities inspired by the books, background information on the story, as well as quizzes, author profiles, fun facts and much more. Hot off the press we have been given a sneak preview of the two new covers to share exclusively with you! 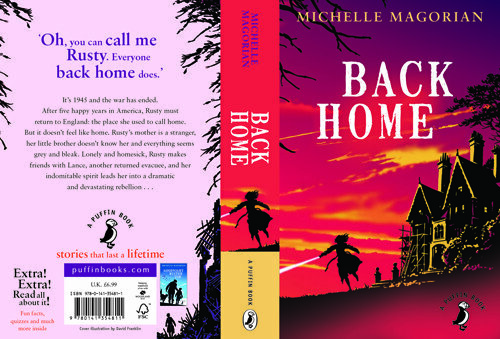 You can buy the brand new Back Home copies at Michelle’s talk at the Festival of Chichester 2014 on July 1st!